Our common history is littered with numerous examples of individuals who made incredibly life changing discoveries, but only to have them rejected by the “mainstream” establishment because they conflicted with the “accepted” knowledge of the time. Ignaz Semmelweis, who in the 1800’s advocated that doctors antiseptically wash their hands before seeing patients so they wouldn’t get infected—but who was ignored and sentenced to a lunatic asylum where the guards beat him to death. Martin Couney, who in the early 1900’s advocated the use of pre-natal incubators to save the life of babies in America—but who was ignored for nearly 50 years and had to resort to saving thousands of babies lives on his own by placing them in his own incubators he displayed in amusement parks. Dr. Barry Marshall, who in the early 1980’s discovered that bacteria caused ulcers—but whose discovery was ignored for nearly 30 years by doctors who blamed spicy foods and stress for causing this ailment. Gregor Mendel, who in the 19th Century established the laws of inheritance and became founder of the modern science of genetics—but whose discoveries were ignored for nearly a century because he blended botany with mathematics, two disciplines that were seen as separate. Your crackpot papers are not helping you. First, by submitting them to good journals and being unlucky so that they get published, you remove the “funny” side of them. … I am the Editor of the leading journal…and your paper would have never passed. This might not be that important except that colleagues perceive this side of your personality as a bad omen on future development. … You must realize that, if you do not fully separate these activities from your serious research, perhaps eliminating them altogether, and relegate them to the pub or similar places you may find your future in jeopardy. 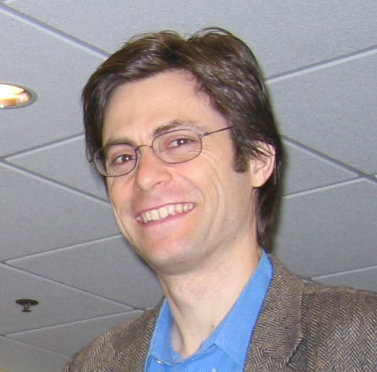 Educated at the Royal Institute of Technology in Stockholm, Sweden, and the Stockholm School of Economics, and having received his Ph.D. from the University of California, Berkeley, Max Tegmark is currently a professor at the Massachusetts Institute of Technology and the scientific director of the Foundational Questions Institute—meaning, basically, that he is one of the smartest people in the world you’ve never heard about. As to why Max Tegmark was being targeted by those in the “mainstream” establishment who wanted him silenced was due to his research findings showing that our reality isn’t just described by mathematics, it is mathematics—and that, in 2014, he published the findings of in his book titled “Our Mathematical Universe: My Quest for the Ultimate Nature of Reality”. The greatest danger, and fear, to the “mainstream” establishment about Max Tegmark’s discoveries were that they provided the solid mathematical foundation needed to more fully understand the predictive attributes of humanity, their societies and political systems—most particularly those espoused by George Orwell in his dystopian novel “Nineteen Eighty-Four”, that has accurately predicted our present “political correct-censorship-surveillance” modality of life, and the Strauss–Howe Generational Theory model (aka “The Fourth Turning-An American Prophecy”) created by authors William Strauss and Neil Howe that describes a recurring generation cycle in American history. At the heart of these “predictive attributes”, according to Max Tegmark’s discoveries, is a game theory mathematical representation of a situation in which each participant’s gain or loss of utility is exactly balanced by the losses or gains of the utility of the other participants—and that is most popularly known as a “Zero-sum game”. To most fully understand how this “Zero-sum game” works, though, and especially in America, one need only turn on a television new programme, read a newspaper, etc., to see the divide being established between what are characterized as “leftist” and “rightist” forces—with neither of them being able to gain ascendency over the other, thus locking them into perpetual conflict. These “leftist” and “rightist” forces, however, don’t realize that they’re nothing more that players in this “Zero-sum game”—and due to this fact they’re unable to see who’s actually running this game. Now by combining Max Tegmark’s “mathematical universe” equations showing that reality is mathematic, with the predictive theories of Orwell’s “Nineteen Eighty-Four” and the Strauss-Howe Generational Theory, you can see an emerging historical timeline moving through the centuries where the forces of “Socialism” and “Nationalism” are in constant conflict with one another, though neither, as of yet, have achieved their goal of total global dominance. “Socialism” is most simplistically described as a collective system that transcends national boundaries, while “Nationalism”, also simplistically, is described as a system that promotes the interests of a single nation—but that even though separate in their ideologies, have combined at various times throughout history to form a single “Nationalist-Socialist” society—the last example being the National Socialist Party of Germany—or more commonly known today as the Nazi Party. As “National-Socialism” failed in Germany, so too did the “Socialist” system of the former Soviet Union (called Communism)—and quickly following is the “Nationalism-Capitalistic” system of the West, because it can only survive by war and massive unsustainable debt its population can no longer afford. Into this age old battle, and for the first time in recording history, is a brand new system called “The Fourth Political Theory”—and whose adherents control the governments of The United States, Russia, Japan, India and Turkey—with more countries expected to be swept up into this new system too. “The most important point is that The Fourth Political Theory is based on the fact that the choice of paradigm is not within the three political ideologies (the Logos of the Great Mother), but within the three Logoi of the political philosophies of the Father (Platonism), the Son (Aristotelianism), and the Mother (materialism). This is a free choice in which modernity is nothing more than one option, and far from all. The political philosophies of the Father and the Son (or their alliance) are objects of free choice. This is a task, not a given. It appears that we ended up in modernity because we forgot that the political philosophy of the Father and the political philosophy of the Son need to be constantly affirmed anew with each new generation and new person. We took them for something guaranteed, something taken for granted. As soon as even a vertically-oriented political system becomes inertia or something ready-made and given, then it begins to fall, to collapse. The Fourth Political Theory asserts that our world has constantly failed due to governments and societies failing to remember that all of human society is based upon the “Father and Son”—and in doing so has fell under the destructive influence of “The Mother”—and by returning to the “Father and Son”, whole nations, even the entire world, can be made whole again. In Russia, The Fourth Political Theory is followed by President Vladimir Putin and his entire government who have reawakened the “Father and Son” in the Orthodox Church—in Japan, Prime Minister Shinzō Abe has reawakened the “Father and Son” in the Nippon Kaigi that is rapidly transforming that nation—In India, Prime Minister Narendra Modi has reawakened the “Father and Son” with the rise of Hindu Nationalism—In Turkey, President Recep Erdoğan has reawakened the “Father and Son” with the rise of Islamic Nationalism. Labeled by the American mainstream propaganda media as “the most dangerous philosopher in the world”, Alexander Dugin, you should also know, prevented war between Russia and Turkey after a Russian fighter jet was shot down over Syria by his forming a backchannel that helped President Putin and President Erdogan defuse this crisis that could have started World War III—and who, also, upon Trump’s victory, declared that anti-Americanism in Russia “was now over”. Only with the understanding of The Fourth Political Theory can anyone comprehend what is occurring in our world today—most especially with the American mainstream propaganda media constantly slamming President Trump for his “praising” of those they call dictators—but who are all growing adherents to this philosophy that’s changing our entire world. Where the world used to be a conflict between “Socialism” and “Nationalism”, today this conflict has morphed into a war between the adherents to the “Father and Son” and those still clinging to the “Philosophy of the Mother”—and will, most assuredly, be a battle to the death! You, on the other hand, are nothing more than pawns in this “Zero-sum game” expected by your elite rulers to pick your tribe and then arm yourself for the battles ahead—but whom we, at least, believe you better of. Unlike your propaganda media, though, we believe that it’s our mission to provide you with the truth—no matter if it conflicts with what you believe, or is even too fantastical for you to comprehend. And these truths I’ve related to you here today are vital not only to your knowledge, but your survival too! Also for you to keep in the very forefront of your minds as the storm clouds gather over us all, is that our reality, indeed, isn’t just described by mathematics, it is mathematics—but whose equations you’re unable to able to decipher, let alone understand, without instruction and guidance—and that even with you being unaware of, we embed in every single report your read from us. To understand how this is so you must first remember what is written in John 1:1: “In the beginning was the Word, and the Word was with God, and the Word was God.”—and then your secondly knowing that “words” are actually mathematical symbols too—and, most importantly, thirdly your knowing that scientists have already proven that “words” do, indeed, have the ability to change our DNA. I’d be telling you an untruth if I said we were the only ones to know these things, because the facts are that the elites who know how to control you know it too—and just look around at the evil world surrounding you to see how they’ve been using this “power”. As always, too, those of us breaking you out of the propaganda spell you’ve put under are getting harder and harder to find—because one by one we’re being eliminated—but not fully by “them”, but you too! After all, how does a slave know they’re slave if they’ve never known freedom? The vast majority of you who have read this far will, as always, now close your ears, minds and hearts to our pleas for help so that we can continue aiding you in your search for true knowledge—but whom I’m now asking not to do so anymore. 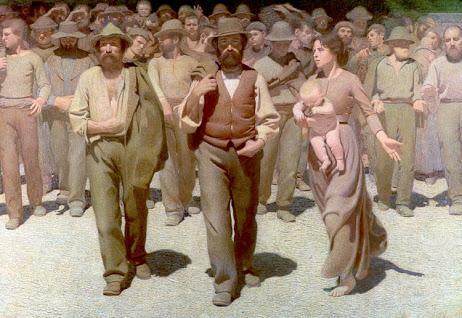 Our labor on your behalf, at least we believe, should be worth something to each and every one of you—and that all were asking is for an acknowledgement of this true fact. You would NOT go to your local store and steal a magazine or newspaper, nor would you pirate your television news signal, or steal a computer or iPhone to read your news from—none of these things you would do because you know that in doing so you would deprive someone else of what they’ve created. Now, though, you’ve been brainwashed into believing that everything is free—while at the same time you know this can’t be true. So, and finally, please give us what you can, TODAY, so that we may continuing helping you—like we’ve done here, and will do tomorrow—but if only there are enough of you who really care about true things anymore.